DAMASCUS, Dec. 16 (Xinhua) -- Russia's Deputy Foreign Minister Mikhail Bogdanov has stressed his country's resolve to support Syria to surpass all of the troubles caused by the more than seven-year war, the pro-government al-Watan newspaper said Sunday. 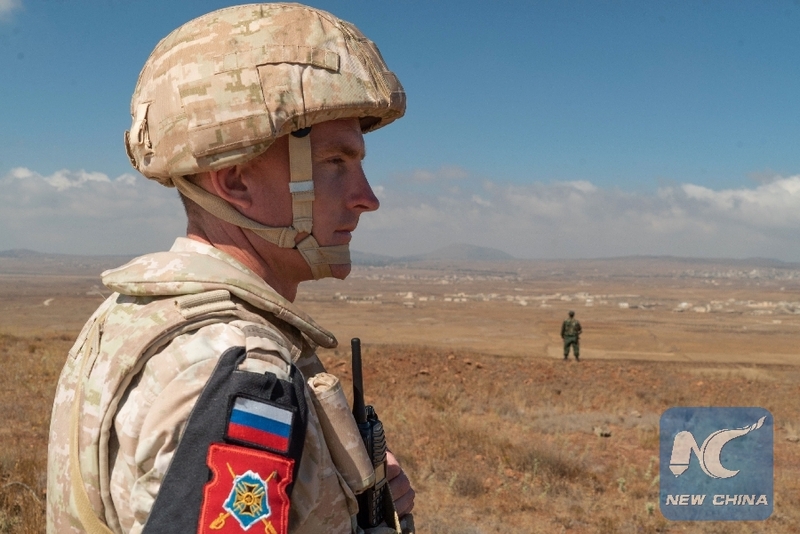 "We are determined to stand by the side of Syria to overcome all the woes that it has been through over the past seven years," the Russian official told al-Watan in an interview. The remarks of the Russian official come as his country has signed several agreements with Syrian authorities on the economic, scientific and industrial levels in Damascus last week. In his remarks to al-Watan, Bogdanov said that the Syrian economy is not in a "simple situation," stressing that Russia will continue to support Syria in all fields, particularly the economic one. He said the latest agreements both countries signed help elevate the economic and trade cooperation to the level of the political relations, saying the cooperation between both countries involves the security, political, economic and social aspects. Russia has supported the Syrian government forces in the Syrian conflict since 2015 and with the help of Moscow, the Syrian army succeeded to reclaim much of the country. The agreements reflect the future of the economic cooperation between both sides to rebuild the Syrian economy, which was strongly hit during the war in terms of the devaluation of the Syrian pound and the Western sanctions imposed on Syria.